Kybella is an FDA approved injection. The FDA-approved Kybella melts away chin fat. Kybella is a naturally found in the human body that aids in the breakdown of normal dietary fats. 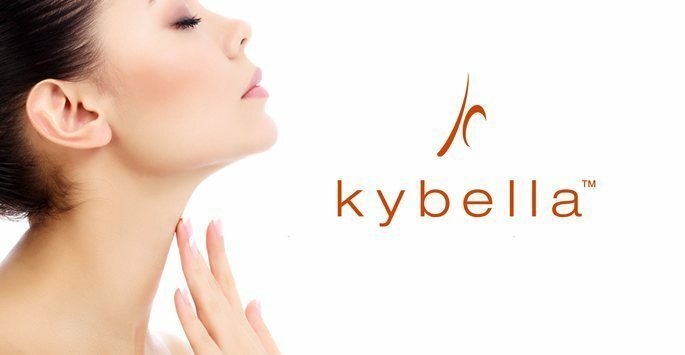 Kybella is an non-invasive procedure for excess submental fat, Double Chin treatment offered at Elite Medical Aesthetics - Sacramento area. The injected Kybella immediately begins to destroy the fat cells then re-absorbed into the patient’s body. Dr Ray recommends to schedule a consultation for determining if Kybella is the best option and then plan for injections in another session. At Elite Medical Aesthetics, Rocklin, our procedures are goal oriented. Dr Ray would want to make sure you achieve your goals for any aesthetic treatment including double chin. Kybella is a great choice when patient would want non-invasive treatment for submental chin fat. Kybella treatments involve 10-20 injections which would be done during the 1st visit. For the 2nd set of injections, will set up appointment after 4 weeks. There are some limitations with Kybella injections and Dr Ray explains the advantages and disadvantages of the treatment with you. Once we receive a request, we would accommodate a consultation same Day Appointment if you would want that. You would meet with Dr. Ray and he would listen to your needs and goals. 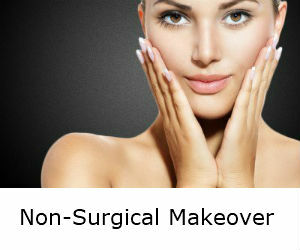 Then will be explaining all medical aesthetic treatment options for your goals. Once a consultation is completed and you decide to get the process started for Kybella Injections then an instruction package including informed consent form would be presented to you. The cost of Kybella and Kybella recovery time for your specific procedure is also reviewed. A date for surgery is scheduled and well as a pre-operative visit. You read through and then Dr. Ray will review the information with you as well as the pre-liposuction procedure instructions, the procedure and post liposuction after care. What can Kybella help treat? Kybella is injected in the submental/“double chin” region to dissolve fat away and improve the overall contour of the neck and jawline. Kybella is an FDA Approved for Double chin ( excess of submental fat treatment). Who is the ideal patient for Kybella? Patients with consolidated fat deposits and fullness underneath the chin and want non-invasive treatment, are good candidates for having Kybella. During consultation, Dr Ray explains the benefits of Kybella and would offer realistic expectations, the best treatment option and what you should expect through the course of treatment. What happens to the skin on my neck after the Kybella is injected? After Kybella injections, initially the chin becomes more swollen but that would not last. Within a week, chin starts to shrink and the neck skin tends to “lift”/tighten as healing occurs. According to our experience and data provided by Allergan, Patients would need to receive 3-4 treatment sessions about one month apart to see their optimal results. What can I expect for my second injection session? Patients experience much less swelling and bruising than the first round of treatment. Patients also notice improved contouring and skin tightness in the neck as each treatment continues. The studies over 1,000 adult participants with moderate or severe submental fat, showed the safety and effectiveness of Kybella. The participants who received Kybella (for up to six treatments) instead of a placebo (non-Kybella) more frequently saw reductions in fat and improved jawline/neckline contour. Kybella can cause serious side effects, including nerve injury in the jaw that can cause an uneven smile or facial muscle weakness, and trouble swallowing. The most common side effects of Kybella include swelling, bruising, pain, numbness, redness and areas of hardness in the treatment area. These side effects are also the most common side effects seen with Botox injections or dermal fillers like Juvederm and Restylane. What is the downtime after the injection? Patients experience different degrees of swelling, but it is a normal part of the healing process. Kybella injections result in minimal downtime and occasionally may cause bruising in the area which will go away within one week or so. Most patients would begin seeing results 3-4 weeks post injection. Ready to learn more about Kybella and find out if you are a good candidate? Call 916 500-2474 to schedule a consultation with Dr Ray at Elite Medical Aesthetics, Rocklin or fill out the request for consultation form. Tumescent Liposuction is another option for liposuction. Smartlipo is based on laser technology for removing body fat and Vaser is an ultrasound based technology. There are differences in procedure, patient’s experience and the results. In Tumescent Liposuction, Diluted lidocain (topical anesthesia) injected and allow the small cannula (microcannula) suction the fat with minimal pain. Dr Ray is trained and experienced in liposuction and fat transfer. If client has concerns and wish to have the fat to be injected in other areas, then, if appropriate, Dr Ray would plan for performing liposuction and harvest the fat for transfer and injecting in the area, such as calves, butts, hands and face.